Drone-maker AeroVironment has developed a handheld quadcopter that it says can be carried by soldiers on the battlefield and quickly deployed to get an aerial look at a potentially hostile location. The drone, calledÂ Snipe Nano Quad, has retractable rotor arms so it can be carried in a compact form and unpacked when needed. It weighs just 140 grams (5 ounces). It's equipped with cameras that can send a visible or infrared image back to a handheld controller unit. The infrared view provides a way to see the body heat of a person who may be hidden. The drone has a top speed of around 20 miles per hour and a radio range of about 1 kilometer. It has a battery life of about 15 minutes, and its size means its difficult to spot when in the sky, said the maker. A control unit for AeroVironment's Snipe drone. Twenty of the drones were delivered in April to the U.S. government, the company said. 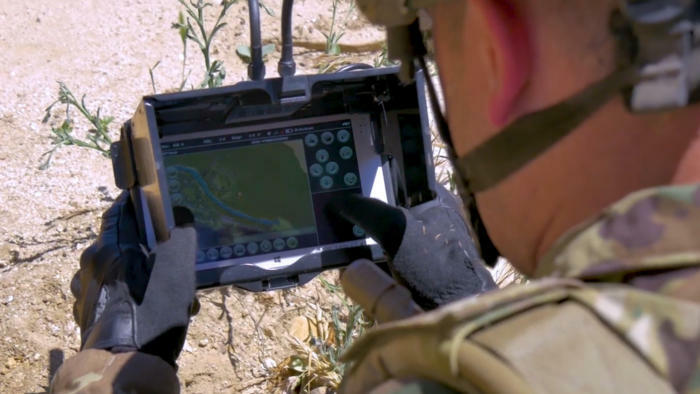 It didn't name the customer agency, but AeroVironment recently signed a contract to supply small drones for border protection work and has a lucrative continuing business with the U.S. Army for its RQ-11 Raven hand-launched drone. 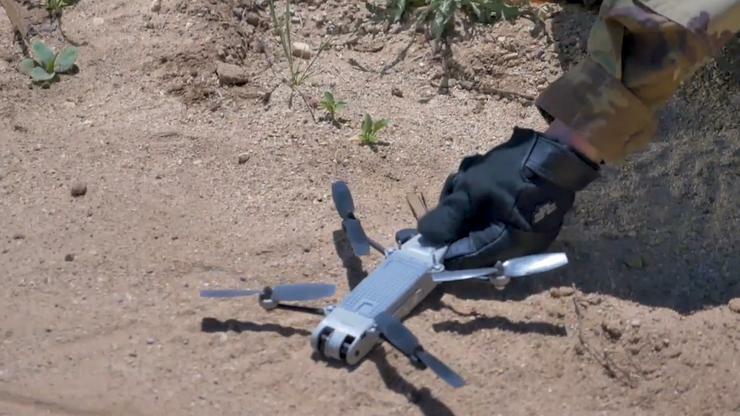 AeroVironment has been developing small-size drones for several years. Its perhaps most well-known research project is a hummingbird drone that maintains flight by quickly flapping two wings, similar to a hummingbird.